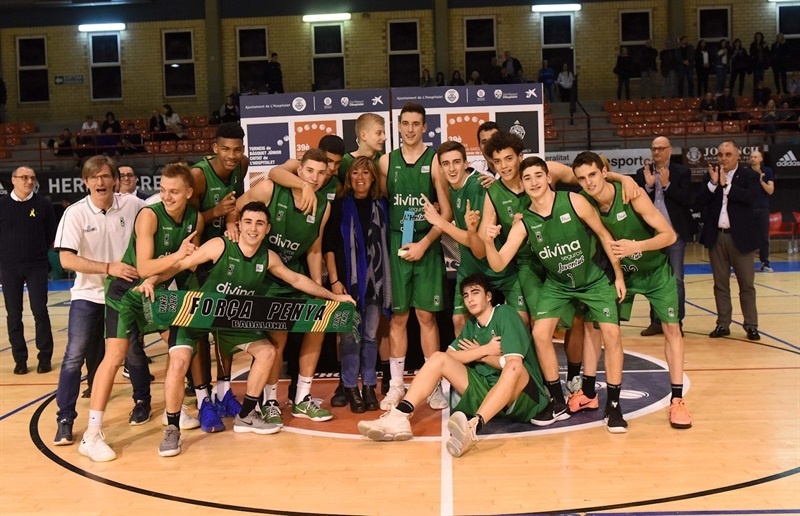 U18 Divina Seguros Joventut Badalona booked its ticket to the Euroleague Basketball ADIDAS NEXT GENERATION TOURNAMENT Finals after exacting some revenge with a 77-74 victory over U18 FC Barcelona Lassa in the ANGT Ciutat de L’Hospitalet Final. 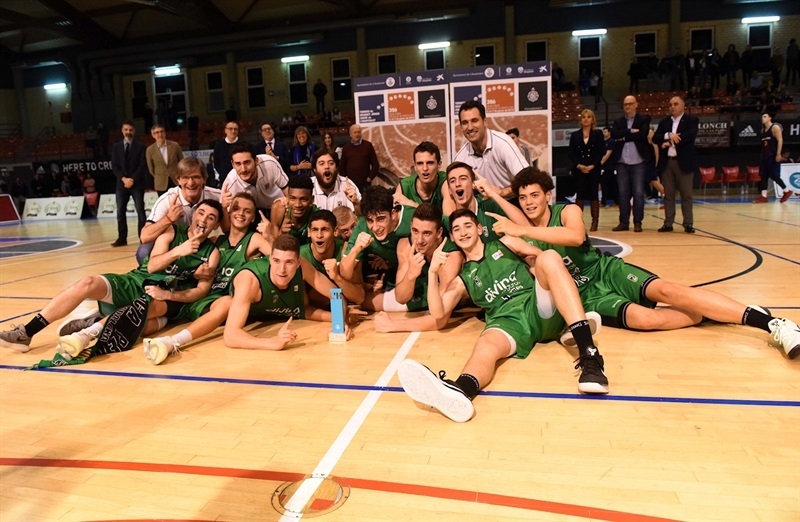 The 2013 continental champion Joventut got 23 points from Arnau Parrado in knocking off Barcelona a year after losing to its rivals in the ANGT L’Hospitalet Final. 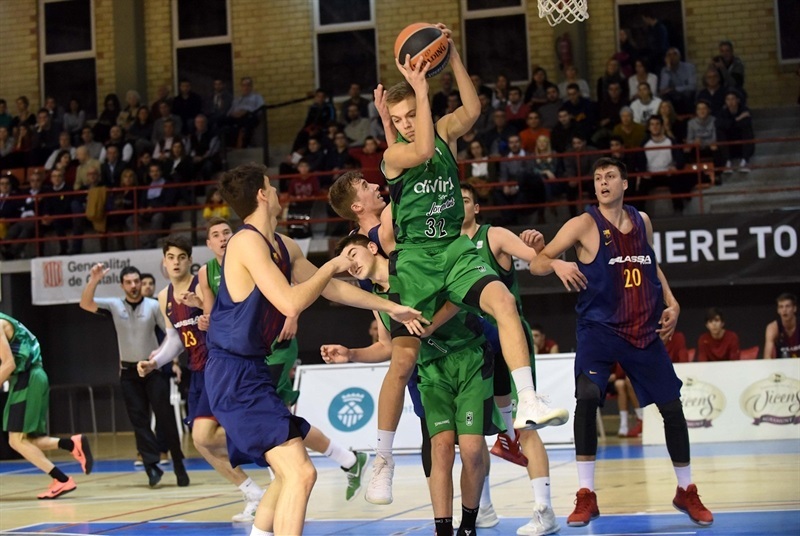 Manel Signes chipped in 11 points and 13 rebounds and Aleix Haro Val added 13 points in helping Joventut claim its second ANGT L’Hospitalet crown since the tournament became a Finals qualifying tournament in 2007-08. 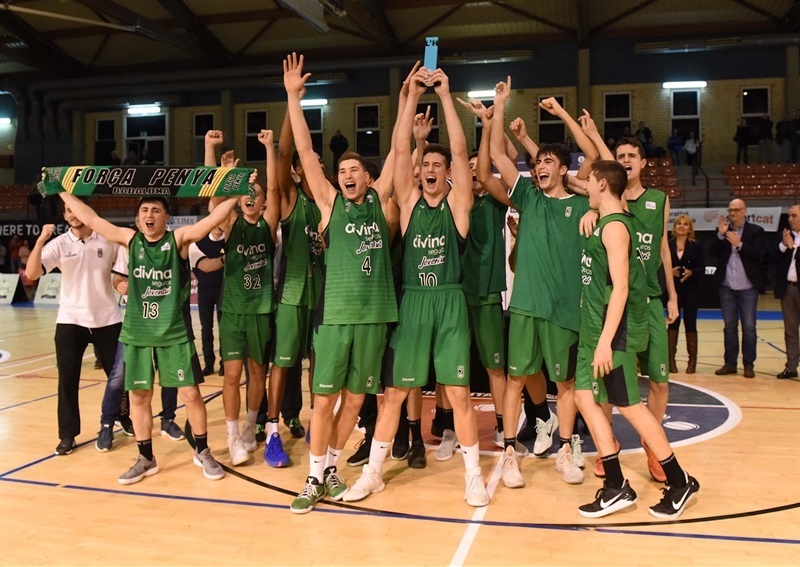 Joventut will play at its first ANGT Finals since 2014. 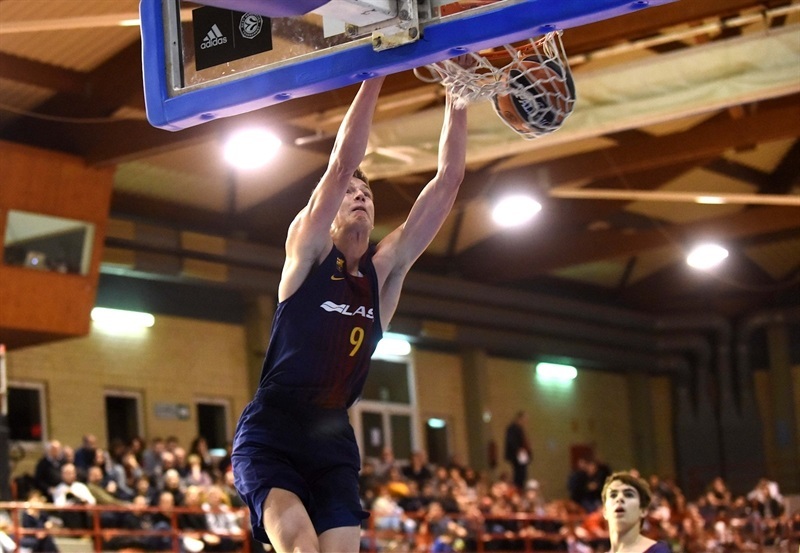 Barcelona was paced by Luka Samanic with 27 points, 16 rebounds, 2 assists, 2 steals and 3 blocks. 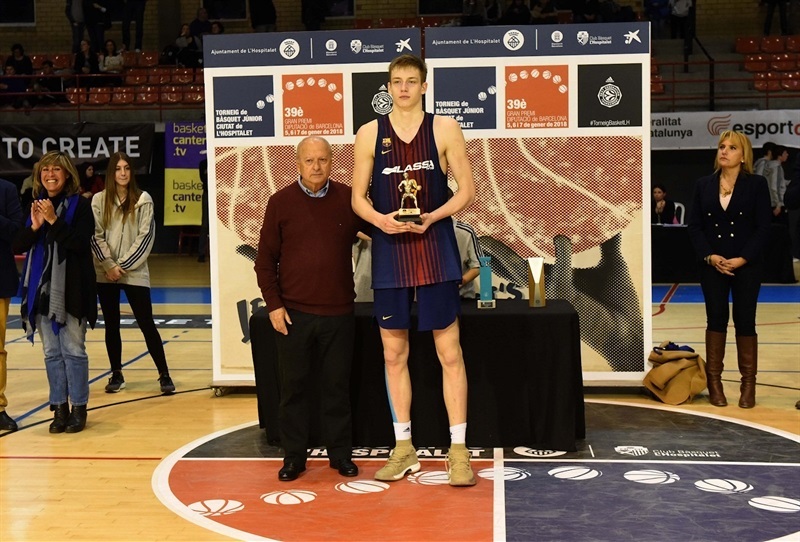 Samanic was named the tournament MVP, but Barcelona didn’t give him enough help though Nikola Zizic added 11 points, 12 rebounds and 7 assists in the loss. 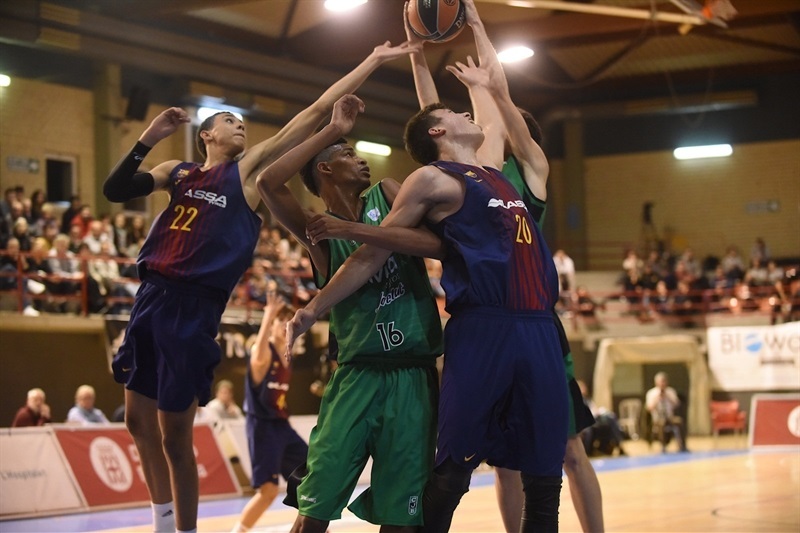 Samanic came out strong for Barcelona with 8 points as the reigning ANGT L’Hospitalet champs led 10-12. There were already five lead changes in the game by that point, but there would still be four more to come with Borja Fernandez’s three-pointer giving Barcelona a 17-19 lead, which the team extended to 17-23 after 10 minutes. 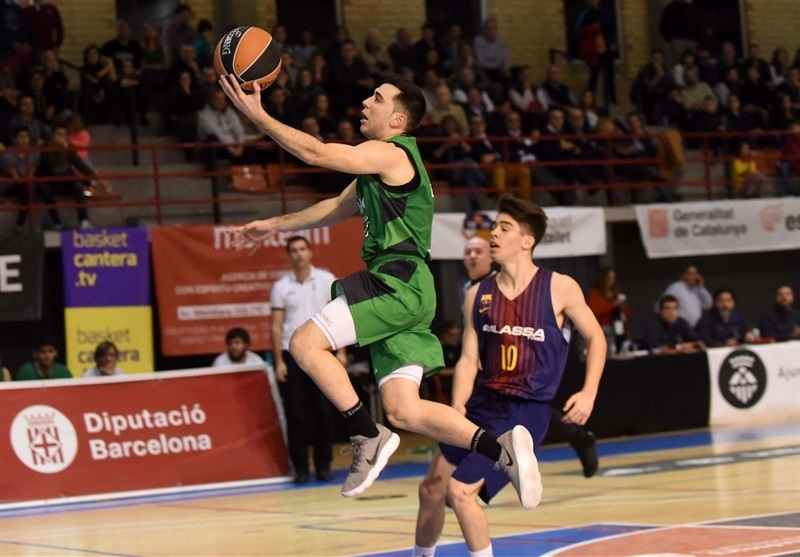 Barcelona could not get any offense going early in the second quarter with 5 turnovers, while Joventut got 4 points from Parrado and a three from Halo Val in a 15-0 Joventut run to go up 32-23. Samanic finally got Barcelona on the board at the 4:22 minute mark to start a 3-11 spurt to cut the gap to 35-34. 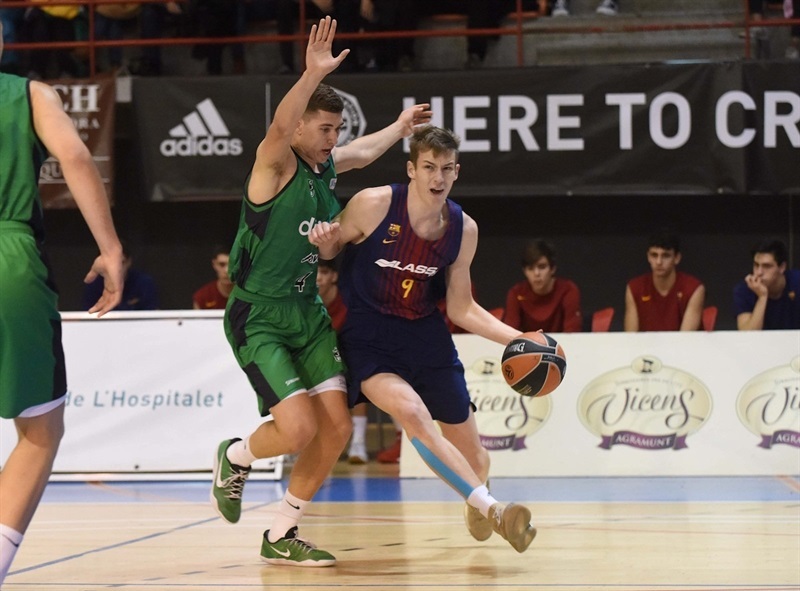 Joventut was held scoreless for the first two minutes of the second half and three-point plays from Tom Digbeu and Samanic had Barcelona ahead 35-43. Joventut cut the margin to 3 points, but could not stop Samanic, whose three-pointer made it 50-59. 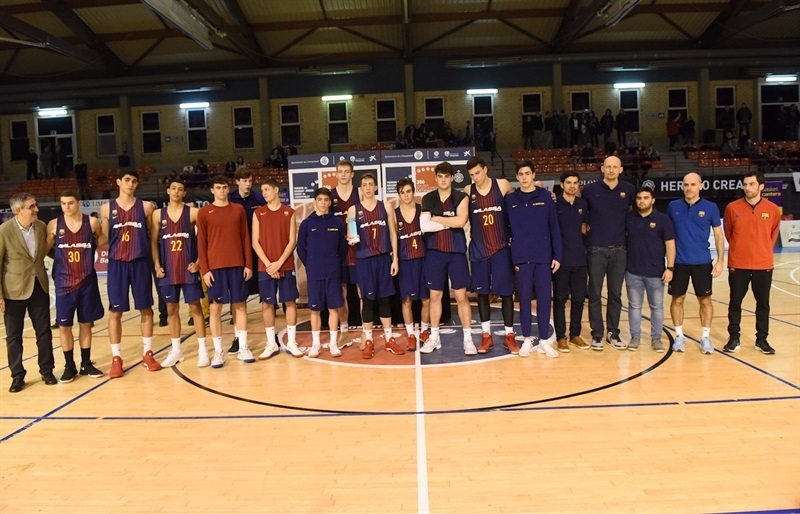 Didac Cuevas came up with two triples at the other end, but Barcelona still was on top 57-63 going into the fourth quarter. Barcelona pushed the gap back out to 9, but Joventut charged back to tie the game at 69-69. Parrado followed with 6 points in helping Joventut nose ahead 76-72 with a minute to play. 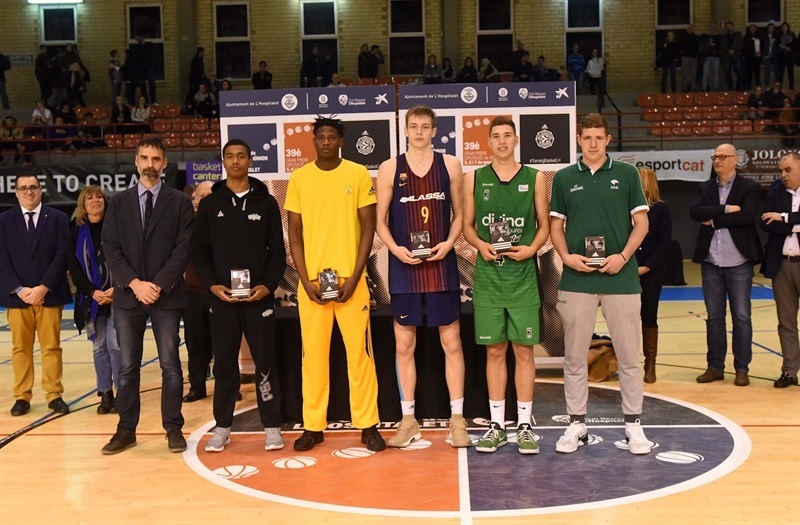 Parrado added one free throw with 9.2 seconds to provide the final score and Joventut its return to the ANGT Finals.